Reverend Michelle Meekins-Davis serves as an Associate Pastor at the Bethany Baptist Church in Chester, Pennsylvania under the leadership of Senior Pastor Curtis D. Morris. Reverend Meekins-Davis was licensed to preach the Gospel in May 2008 and ordained an Elder on June 12, 2016. At Bethany Baptist Church, she oversees the newly created Communications and Technology Ministry. She is the co-founder and co-leader of the Marriage Matters Ministry with her husband Reverend Dexter L. Davis Sr. Reverend Michelle is a trained Marriage Prepare/Enrich Counselor with Life Innovations, Inc. She serves on the leadership team of the Women’s Ministry and is an active participant of the Women’s Discipleship Class and the Women’s Retreat and Conference Committees. Reverend Michelle is also co-teacher for the Noon Day Community Bible Study on Wednesdays. Currently, she and her husband are assisting the leadership of Bethany Baptist Church in formulating and implementing its very first strategic plan as the church looks towards its future. Professionally Reverend “Micki” has been employed at the Chester Campus of Widener University for more than 25 years and currently serves as the Chief Diversity Officer and founding Director of the Multicultural Student Affairs office. In her current position, she serves as a resource and facilitator for multicultural and diversity related programs; and workshops for students, faculty, administrators and staff. She is a student advocate and takes a very active role in advancing the university’s commitment to diversity. Reverend “Micki” also supervises the religious and spiritual life on campus. She co-advises the Interfaith student organizations and multicultural student organizations. 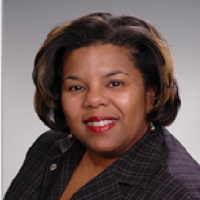 Reverend Meekins-Davis is a charter member and past president of Tau Delta Omega Chapter of Alpha Kappa Alpha Sorority (AKA), Inc. in Chester, PA. She is an active chapter member and serves on the Prayer Team of the North Atlantic Region of AKA. Minister Michelle is one of the founders of the Chester Inter-Greek Council. She is also a charter member of the Widener Circle of Omicron Delta Kappa, the national leadership honor society, a member of Phi Beta Delta (Honor Society for International Scholars) and the Order of Omega. Reverend has received many awards recognizing her service to Bethany Baptist Church, Widener University, the community of Chester, Pennsylvania and Alpha Kappa Alpha Sorority, Incorporated. Reverend “Micki” resides in Wilmington, Delaware; is married to Dr. Dexter Lamar Davis Sr., the proud mother of two adult sons: Dexter Jr. and Ian Lamont Davis, daughter-in-law Magan Davis and grand mom “Gigi” to Julian Robert Davis and Zuri Michelle Davis.